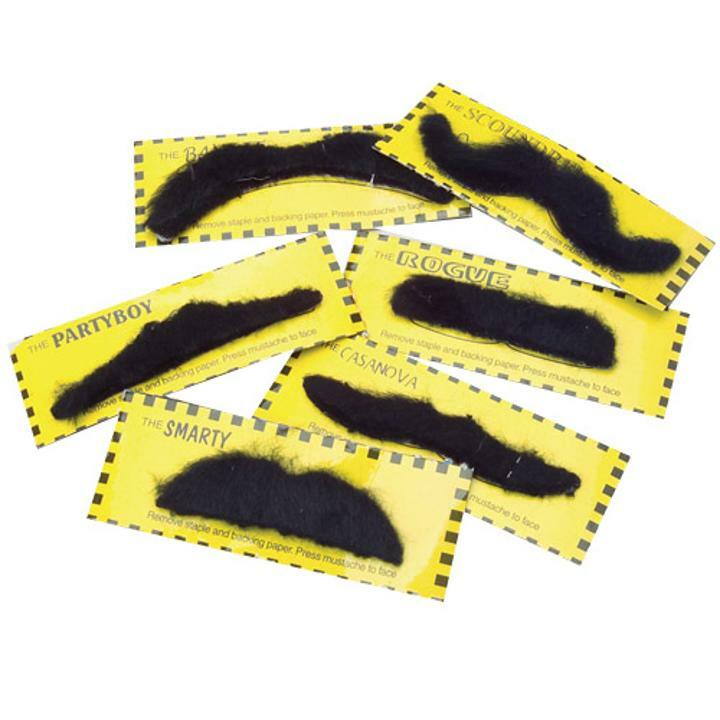 Cheap Moustaches - 12 Ct.
Great accessory for any cowboy themed event! No one will recognize you wearing a fake moustache! Its a classic disguise. Dress up and enjoy. Assorted styles range from standard moustaches to handlebar moustaches. Find the best Halloween costume accessories at the best prices. We have a great selection of facial hair sets including beards, side burns, eyebrows, and mustaches. Inspire creativity in children with dress up or pretend play games using our wide range of costume accessories. L: 6.1 in. W: 0.85 in. H: 3.95 in.